This decal is the perfect addition to any office, bedroom, conference room or any room in which you envision it! 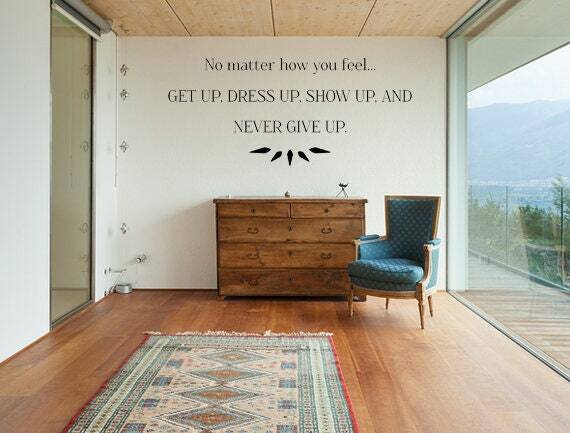 Our Never Give Up decal is easy to install, and is removable but not reusable. Please note the size of this listing as the picture may not show the size to scale. This decal measures approximately 36 inches wide by 16 inches in height.